It's a year to celebrate the moon. 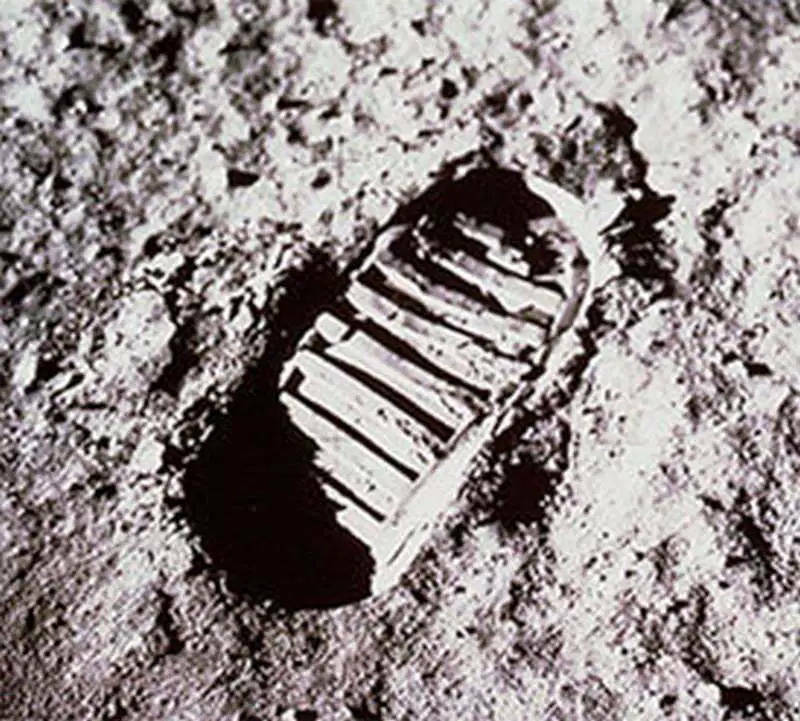 Fifty years after astronauts first set foot on the lunar surface, our curiosity and passion for exploring our celestial neighbor is alive and well. Nearly a hundred total missions (from the U.S., Russia, Japan and other space agencies) have traveled to the moon, and several more are in the pipeline. Humanity's lunar obsession remains high. How did the moon form? What is it made of? What material and scientific resources does it offer? And, how might we ultimately return and even dwell there? These are questions that burn for answers. The moon is our nearest and most accessible neighbor. We also now understand that Earth and the moon likely have a common origin. We are thus, not cut from the same cloth per se; we are cut from the same rock. Here are a few highlights of what make 2019 a year to renew our personal fascination with Earth's longtime companion. China kicked off the year by accomplishing something no space agency had before: successfully landing the Chang'e 4 spacecraft and its Yutu-2 rover on the far side of the moon. All prior landings, by all countries, took place on the moon's Earth-facing side, the face that human eyes have beheld since the dawn of our species. Before 1959, when the Soviet Luna 3 became the first spacecraft to photograph the far side of the moon, no one had ever viewed its rugged, heavily cratered terrain. And it wasn't until Apollo 8 orbited the moon in 1968 that humans laid eyes directly on it. 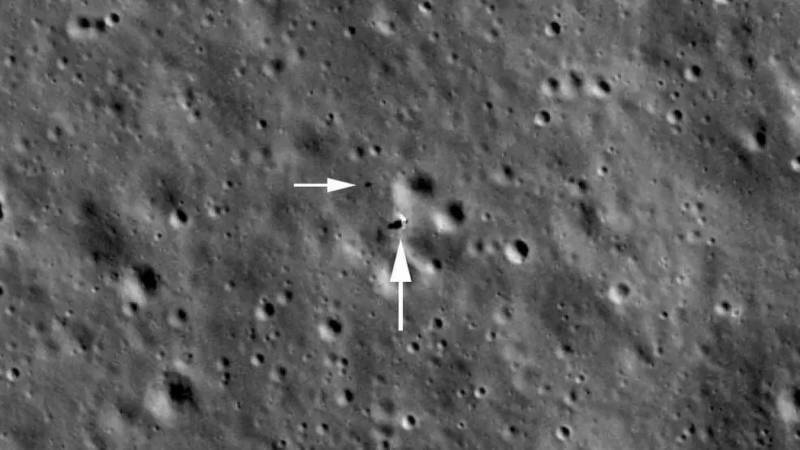 So, as far as wheels-on-the-ground exploration goes, the far side of the moon was luna incognita, until Jan. 3 when Chang'e 4 landed in the 110-mile wide Von Karman crater, within the vast South Pole-Aitken Basin. 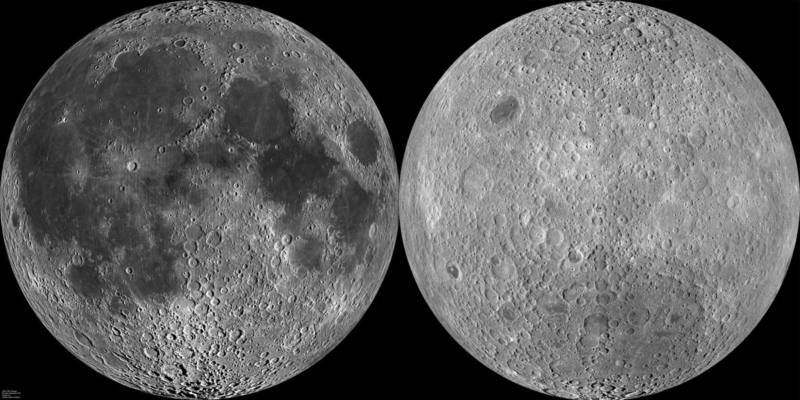 Landing on the far side of the moon isn't just good for China's space-faring prestige, the scientific results should tell us a lot about the moon's structure, how it was formed, and its history over the last 4.5 billion years. 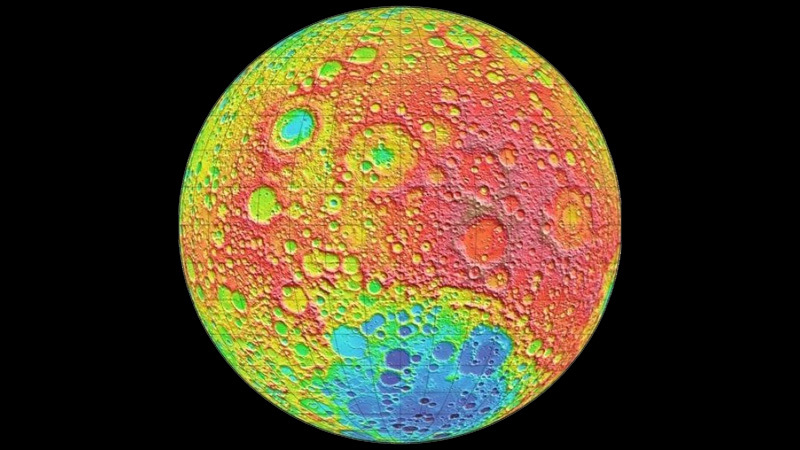 The far side of the moon's terrain is physically different from that of the near side. The far hemisphere is dominated by rugged highlands and possesses many more impact craters than the near side. Lunar maria, which means "seas" (these are the dark, blotchy lava plains that we can see with our eyes from Earth) are much less numerous and smaller than on the near side. Tracing the history of the moon's formation requires an understanding of the reasons for the stark differences between the two lunar hemispheres, so Chang'e 4 and the Yutu-2 rover are well-positioned to turn up some eye-opening clues. Ten years ago, NASA's Lunar Reconnaissance Orbiter began mapping the lunar surface in high detail, and continues to send back enormous amounts of high-res, close-up imagery today. In fact, there were so many pictures pouring back from the spacecraft that volunteer citizen scientists were enlisted to help. For several years, anyone with a computer and a desire to pore over thousands of pictures of dirt, rock, and craters — some of them never seen by another human — could contribute to mapping the moon by participating in crater-counting. That might sound dull to some, but the science of counting craters can tell us a lot about the moon's history, when and how much the moon was bombarded by debris at different times in the past. 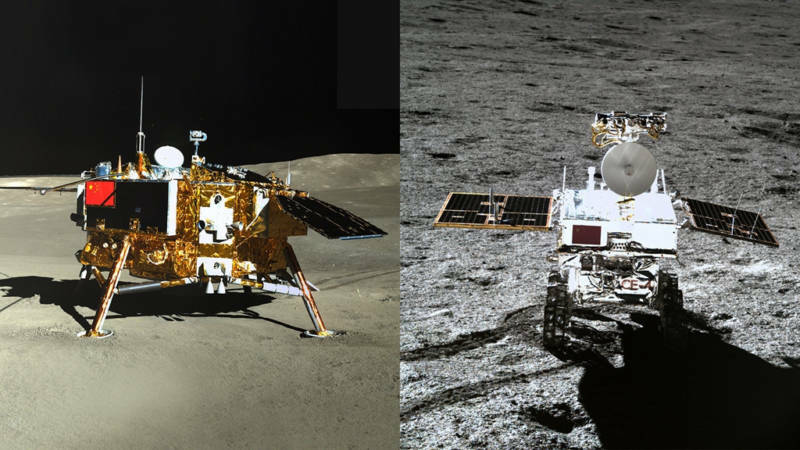 On Jan. 30, the Lunar Reconnaissance Orbiter snapped a picture of China's Chang'e 4 and the Yutu-2 rover as it cruised by overhead, pinpointing its landing location and demonstrating the level of detail its powerful camera can capture. This July 2019 we mark and celebrate five decades since the first human landing on the moon, by Apollo 11 and its astronauts Neil Armstrong and Buzz Aldrin (and let's not forget Michael Collins orbiting high above in the Apollo command module). This feat, which NASA repeated five more times from 1969 to 1972, has yet to be matched, although more than one nation has its sights set on a human return there. Several lunar missions are scheduled to launch in 2019, including India's Chandrayaan-2 lander and rover, the Moon Express's (USA) Lunar Scout, and China's Chang'e 5 sample return mission. A return to the moon in person by humans won't happen until 2022, when NASA is scheduled to test a crewed Orion spacecraft in a single free-return maneuver around the moon and back. It'll be a quick trip, with no landings, but the mission will lay a path for returning to the moon's surface again, and one day traveling far beyond.